Mortgage Architects is pleased to announce the appointment of Raman Malhotra as Mortgage Architects’ newest Western Canadian franchise located in Surrey, British Columbia. Mortgage Architects is pleased to announce the appointment of Raman Malhotra as Mortgage Architects’ newest Western Canadian franchise located in Surrey, British Columbia. As proud owner of Celestial Mortgage Architects, Raman cites “MA’s corporate reputation” and “versatile structure” as key reasons for opening a Mortgage Architects franchise. "Being self-employed, I have a professional vision and goals for my growth and I believe that Mortgage Architects’ business model will assist me in achieving these..."
“MA has the trust of and reputation with the lenders which is one of the key requirements of my business. I also appreciate MA’s versatile structure. Being self-employed, I have a professional vision and goals for my growth and I believe that Mortgage Architects’ business model will assist me in achieving these." Holding a Masters degree in Commerce, Raman has to date enjoyed a successful 14 year career in the Financial Services industry, 12 years which were in a variety of increasingly senior roles within the banking sector followed by 2+ years as a licensed Franchise owner with a national Mortgage Brokerage. Raman’s most recent affiliation was with Centum Axis Mortgage Corporation. 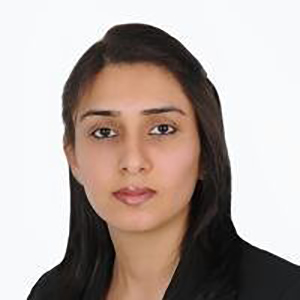 Having earned numerous awards for her customer service and sales skills over the years, Raman prides herself on the delivery of exceptional, professional and memorable service to her clients, thus positioning her well for continued success in her new business owner capacity at Mortgage Architects.